My first official photo session in 2012 allowed me to meet someone I had been really wanting to. Little Eva is the granddaughter of a family I just love. They were a huge part of my life for a time and I love to see them happy. 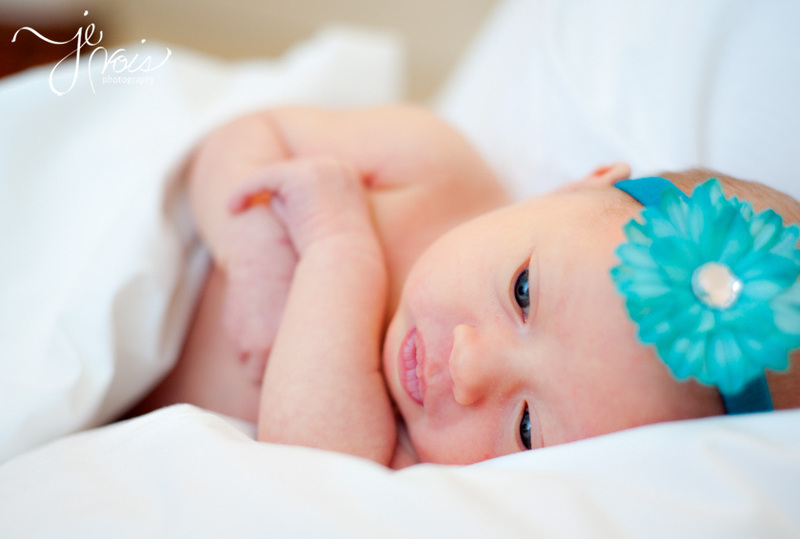 This sweet girl Eva and her parents have sure brought some happiness. Her mom and I had a really fun time visiting while posing the little model. 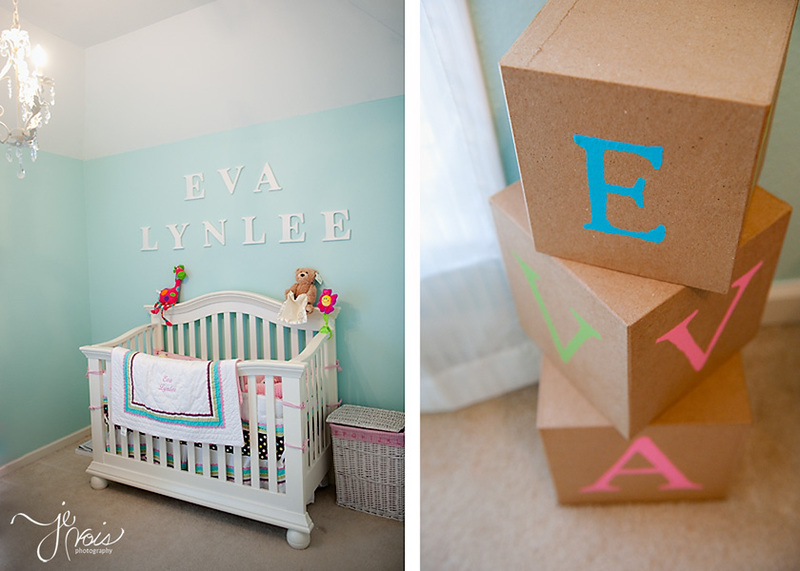 Her nursery is so sweet and serene. I love the colors AND her name (since it’s my first born’s first name too!) Let’s just stop for a moment and talk about these lips. Oh my heavens. They are so perfectly plump and that dimple turns me into a grinning Cheshire Cat. I love the black and white image to the right- foreshadowing of many wonderful conversations Eva and Mommy will share. Mommy Paige had a variety of “costumes” and it was so much fun to play with them. 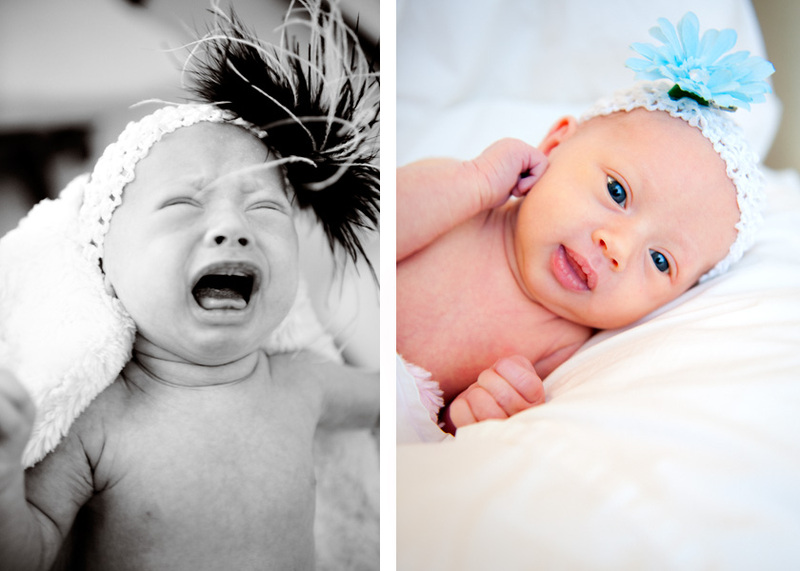 Eva didn’t like the feathers as much as I did. Finally we left her alone so she could drift off to sleep. She was such a trooper! Most beautiful! 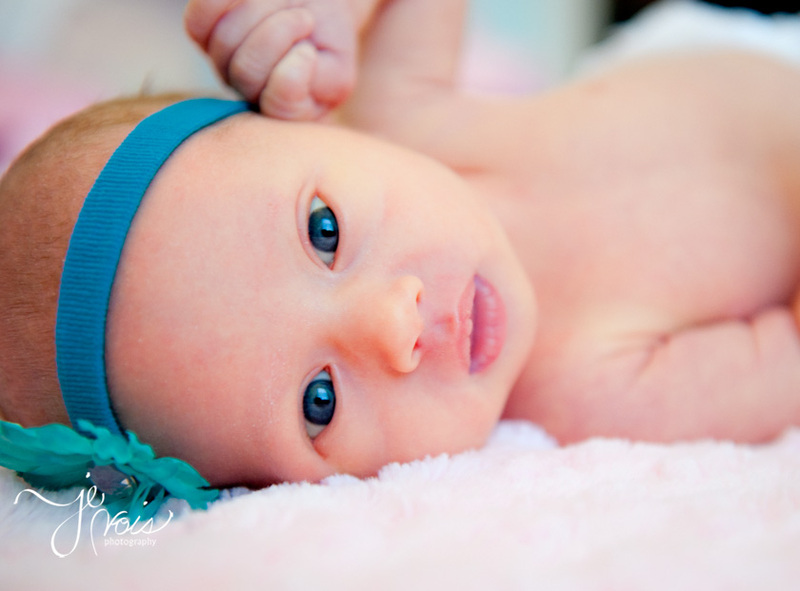 I knew my grand-daughter was beautiful but my goodness she looks like a model! Great Job! Great Pictures!! I love them. OMG! ABSOLUTELY GORGEOUS!!!!!!!!!! Great job Hillary!! Wonderful Pictures!!! A Star is born!!! BEAUTIFUL!!! !LOVE LOVE LOVE !! MAKES ME cry!!! Paige she’s adorable!! You did a great job!! Wow! Another beautiful Martinez blessing! WOW! Another beautiful Martinez girl! What a blessing! 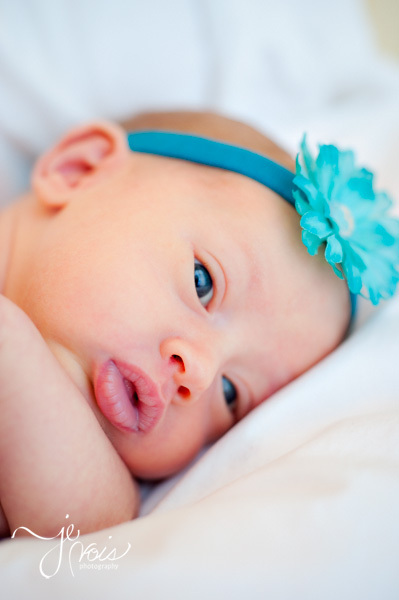 I love how the blue headband brings out her beautiful blue eyes! Great wardrobe choice, Paige! She is so beautiful and you captured her beauty just perfectly, Hillary! Auntie loves you, Eva! 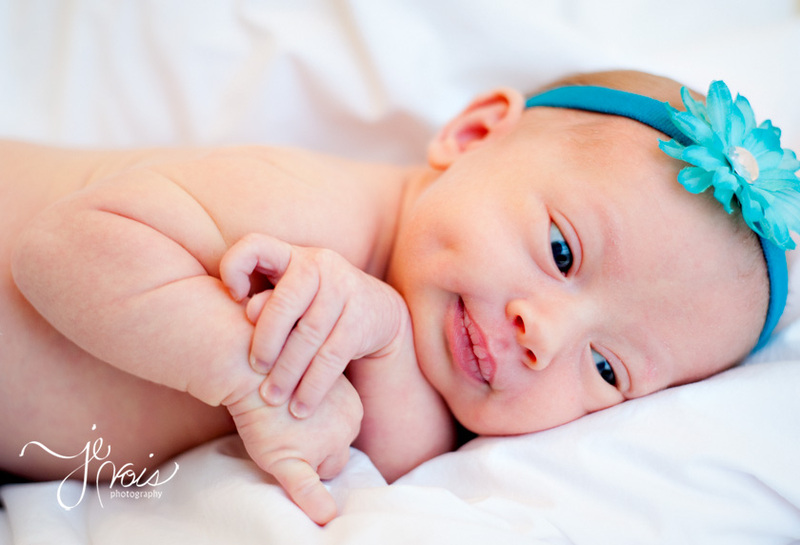 She is such a beautiful little girl and I absolutely love her dimples!!! She is a a beautiful blessing, blessed and highly favored, created by the Heavenly Father, who smiles on her everyday. 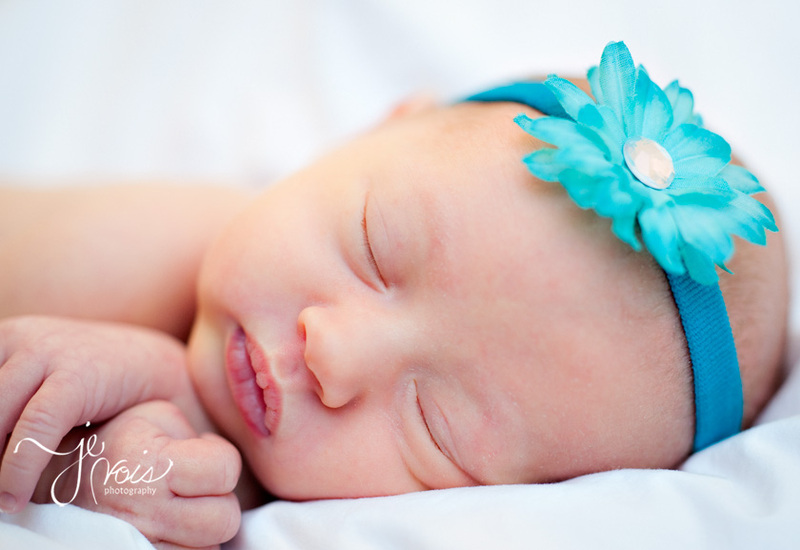 She is precious…… Congrats to you both on a wonderful blessing…. Oh my goodness!!! She is SO beautiful!!! What beautiful pictures! and I love the feather pic! Looks like you and Eva are doing just fine. Happy Vday to you guys too by the way!